I’m excited to share that I’m embarking on some new ventures in my digital government journey. Late last year I made a big leap professionally and left the federal government after many years working on issues around using new digital technology to modernize the public service. Having successfully launched the Canadian Digital Service last year, after much reflection I decided that the right path for me to take professionally and personally was to leave the public service and continue working on these issues from outside of government. I took a 6-month “sabbatical” to put some focused efforts on the project that I’ve been working on for the past couple years to use digital media to preserve the history and traditions of my ancestors, the Saskatchewan Doukhobors (more updates on that to come soon) – but also to take some time to reflect on what my next steps professionally were going to be. I am partnering with the Institute on Governance (IOG) – an Ottawa-based non-profit with a mission to advance better governance in the public sector – to develop digital leadership/literacy training courses for government executives. I’m very excited about the possibilities to make a real impact through training to improve the level of digital literacy in government and ensure that those who are sitting at the management table of public sector organizations are prepared for the challenges and opportunities of leadership in the digital era. I’ve known of the IOG’s work for a number of years, and with their deep experience on governance issues and delivering training specifically tailored for public servants (not to mention their new training space that just happens to be located next door to the best Italian deli in Ottawa! ), I think the possibilities are huge as to what we can accomplish together through this partnership. More details to come soon, but we are planning to run our first series of digital leadership courses for public service executives later this fall. I’ve also kept a bit of space free on my dance card to take on some strategic consulting work in the digital government realm, and I am very happy to also report that I’m going to be working with the Chief Information Officer for Transport Canada over the next few months. I’ve long been a big fan of the work that Julie Leese has been doing at Transport to not only modernize the operations of her IT team, but also to more broadly lead a shift in how “digital” becomes an enabler for everything that the department is doing. I’ll be providing some strategic advice to Julie and her team as they continue their good work to establish Transport Canada as a leader in applying modern digital and design approaches to government service delivery. With these new ventures now starting in earnest, I thought this was a good time to update my long-standing Life Calendar project (for those interested in the origin story of the Life Calendar and it’s evolution, you can read about it here, here, and here). It’s been a few years since I updated it last, so I’ve added on colours to represent my return to federal government in Ottawa from my time in Paris and my subsequent departure from the public service, the Doukhobor project that has been ongoing for the past couple of years, and just as of this week a new orange colour to mark the start these new ventures from outside of government. I still find it a bit humbling to look at one’s whole life laid out at a glance – if nothing else, it helps you to step back from the day-to-day and think about the context of our lives and how we spend our time. P.S. I was recently contacted by someone in Germany to let me know about a project she has launched called kalenderkind.com to sell her unique variation on Life Calendars via Etsy. If you are interested in the Life Calendar concept it is well worth checking out, and you can go deeper down the rabbit-hole through her research page of different Life Calendar concepts from around the world (including yours truly’s). For those who have been following this blog, you will know that over the past 18 months I have been putting a lot of time and effort into a project to preserve the history and traditions of my ancestors, the Doukhobors who settled in Saskatchewan from Russia almost 120 years ago. Since the start of the year I have been on a bit of a sabbatical after leaving my role with the federal government. It has given me a chance to both recharge my batteries and have some focused time to work on moving the Doukhobor project forward. I’m currently planning to stay “on sabbatical” so to speak until at least the end of June – so stay tuned for more updates on what is next for me professionally in the coming months. For now, the focus is on this passion project of mine and I’m happy to report that we have some updates to share. Before diving in, I want to mention that we have set-up a new mailing list for those who have contributed to, or are interested in, this project about the Doukhobor community in Saskatchewan. While I will occasionally provide updates here at RyanAndrosoff.ca, if you would like to receive more frequent updates about the project and sneak-peeks of new content as we get closer to launch, please sign-up for the mailing list using the form below. …now on to the updates! First, we have updated the title of the project to the “Saskatchewan Doukhobor Living Book Project”. While the focus remains the prayer service and spiritual practices of the Doukhobors in Saskatchewan, we have through the course of our work over the past 18 months collected a large number of oral history interviews. Our interviews reflect a range of Saskatchewan Doukhobors’ perspectives, with participants ranging in age from 10 to 93. We believe the Doukhobor concept of the “Living Book” fits well with what we are trying to achieve with this project and our hope is that this will become a truly “living” resource that will continue to grow over time. Secondly, we have launched a website for the project which you can find at: http://DoukhoborLivingBook.ca – we are just starting to load content onto the site and over the coming months it will continue to grow. Here, you will be able to find the various video and historical products that we will be releasing as the project continues. Finally, we have just made available the full recording of the prayer service that was taped at the Blaine Lake Doukhobor Prayer Home as part of this project. You can access it via the DoukhoborLivingBook.ca website or directly via YouTube. This film will capture the oral history and spiritual traditions of the Saskatchewan Doukhobors by incorporating interviews with more than two dozen members of the community, a recording of a Doukhobor prayer service, and archival footage and photographs that help tell the story of how the Doukhobor community in Saskatchewan has evolved over the years. We are hoping to have the film ready for an initial premiere by this Fall. The recording of a Doukhobor prayer service will be used to create an immersive exhibit suitable for a museum or gallery that will allow viewers to experience being a part of the prayer service itself through using multiple audio and video tracks to create a 360-degree auditory and visual experience as people move throughout the exhibit space. We are working with our partners to have the Soundscape ready for public display in the Saskatoon-area for sometime in mid-2019. Thank you to all of you who have supported and contributed to this project in ways large and small over the past couple of years! While there is much work left to be done, it is gratifying to be past yet another milestone and we couldn’t have gotten this far without the help of so many people along the way. “Tanya: Did you know this would happen? Tanya: Then why did you do it? What did you achieve? Why have you brought us here? Why are we hungry? Why are we sick? Where are our homes? Where are our families? Why are we dying? What do you want? This past Thursday I had the great pleasure of attending the opening night of the play “Spirit Wrestler” being performed at the University of Saskatchewan’s Greystone Theatre. Spirit Wrestler was written by Greg Nelson in the early 1990s after being approached by George Stushnoff of the Doukhobor Society of Saskatchewan who was looking for someone to write a play about the Doukhobors for the 1995 centennial celebrations of the 100th anniversary of the Burning of the Arms by the Doukhobors in Russia. The play is set during a time period that starts around 1895 in Russia and ends in Canada in approximately 1908. That period of just over a decade was a defining one for the Doukhobors which set in motion events that not just led to the Doukhobors immigrating from the Caucuses of Russia to the Prairies of Canada (and later on for many to the Kootenay Valley of British Columbia), but also the splits that happened in the community both back in Russia and once in Canada. It was first performed in Saskatoon at 25th Street Theatre in October and November of 1995, and a much younger version of me had the pleasure of being a part of that production as one of the Doukhobor choir members that sung in the background and were extras in various scenes. Having the opportunity to see it performed more than two decades later was a real treat, and as always there are new insights when you get to see something with fresh perspective. What struck me most while watching it this time is that the play does a great job of embracing the complexity of people’s motivations. None of the characters are developed as pure good or evil (though Russian Governor Nakashidze and Canadian Professor James Mavor come closest on opposite sides of the spectrum), and the script is careful to show the often conflicting emotions and motivations that drive them. The evolution of the main character Nikolai in particular is a fascinating one to watch as he evolves from a young idealist in Russia to having to make some very difficult decisions later on in Canada as he struggled with his identity and the path that his life, and that of his community, would take in a new country. While the play itself is set during historic events, the playwright was careful to always emphasize that Spirit Wrestler is ultimately a work of fiction. It treads a fine line between historical accuracy and capturing a specific sense of emotion and feeling that it wants the audience to experience – for me it finds that artistic balance well if one can take an objective viewpoint going into it. The students who were performing in this production of Spirit Wrestler did a wonderful job, and particularly impressive was the fact that they learnt in a very short period of time how to sing a number of traditional Doukhobor hymns in Russian in our unique 5-part harmony a cappella style (with help from members of the Saskatoon Doukhobor community who spent time mentoring them over the past few weeks). The performance was of particular resonance to me given the work that I am immersed in right now on our documentary film and multimedia installation about the Saskatchewan Doukhobors. While Spirit Wrestler essentially weaves the story of how the Independent Doukhobor community in Saskatchewan came to be during that critical decade at the turn of the 20th century, our project will pick up almost where Spirit Wrestler leaves off by telling the story of how the Doukhobor community here has evolved since first coming to Saskatchewan (the eldest person interviewed for our project is my Grandmother Mabel Androsoff who was born in 1924, just 16 years after the events of the “Spirit Wrestler” play conclude). Bottom line: if you are at all interested in Doukhobor history (or more generally, the history of early settlers on the Prairies), Spirit Wrestler is definitely worth seeing. It runs every night until March 31 (except for Sunday, March 25), and tickets are available online or at the theatre. If you regularly read this blog you will know that for the past 18 months I have been working on a project to capture the spiritual traditions of my ancestors, a group of religious refugees called the Doukhobors, that immigrated to Canada from Russia almost 120 years ago. We are planning to produce both a documentary film and multimedia installation exhibit as part of this project, and have already recorded the vast majority of the video and audio that we will need (over 80 hours of footage to date). None of this comes for free though, and the project to date has been crowdfunded through the generous donations of over 100 supporters from across Canada, the United States, and Europe, as well as financial support from a number of Canadian Doukhobor organizations and a research partnership with the University of Saskatchewan. So far we have raised just over $20,000, which means we have now covered all of our production expenses to date. However, we are doing one more final fundraising push as we move into the holiday season to ensure that we have some much needed funds in the bank to cover the thousands of dollars of specialized post-production work that will start in the New Year. – Take 1 more minute and share the link to the promo video or the crowdfunding page (or both!) with your social networks or by email to family or friends who may be interested. That’s it. 5 minutes to help us preserve a unique part of our Canadian community and history. As always, thank you for your support along this journey – I couldn’t do it without you! We are excited to be moving into the next phase of this project, and happy to be able to provide an update on our progress as we launch our new crowdfunding campaign to support this work. For those who have been following our work on this project since last year, you will know that the goal of the Prayer Service Preservation Project has been to preserve the spiritual traditions of my ancestors, the Saskatchewan Doukhobors, for future generations through the creation of a documentary film and immersive audio/visual exhibit that will tell the story of how the Doukhobors in Saskatchewan practice their faith and how the community has evolved over the years. This summer we also began work on reviewing archival footage and other historical materials from the Saskatchewan archives as well as those that have been generously shared with us by Doukhobor societies and individuals from the community in Saskatchewan. We have also been working with our audio and video experts to start to the process of preparing our recordings for editing and production. What’s next? By the end of the year we will be launching a website for the project which will include the full professional-quality recording of the prayer service that was recorded in Blaine Lake last October. We will be devoting significant time in the coming months to the editing and production of the documentary film portion of the project which we plan to release sometime in 2018. Currently we are also in talks with a number of organizations about finding a home for the immersive audio/visual exhibit portion of the project. As this project has been conducted on a volunteer, non-profit basis, the financial support of everyone who has donated has been incredibly important. Our fundraising efforts to date have raised $14,140 from over 90 individuals across Canada, the United States, and Europe, as well as including donations from the Blaine Lake Doukhobor Ladies’ Club, the Doukhobor Society of Saskatoon, the Calgary Doukhobor Society, and the Doukhobor Cultural Society of Saskatchewan. We have also received contributions of $4370 in research funding from our partnership with the University of Saskatchewan for this project. The total of $18,510 in financial support raised is against just over $20,000 in expenses to date. These expenses have included $17,255 for professional video and audio recording services for the recording session in Blaine Lake, interviews with community members, and recordings in Veregin this summer, as well as $1950 for data storage equipment (physical and online), and $900 for administrative and service charges related to the project. (for those who prefer to donate by cash or cheque, happy to accept donations made payable to: “Spirit Wrestler Productions” – contact me for details). Thank you for your continued support of this project and stay tuned for future updates! As I’ve mentioned on this blog before, I’ve embarked on an exciting – and fairly ambitious – project to preserve the spiritual traditions of the Saskatchewan Doukhobors. Details are on the crowdfunding page for the project (more on that in a moment) but for readers of this blog I wanted to share some of my inspiration for this project and an update as to where things are at. First let’s back up for a moment and try quickly tackle the question of “who are the Doukhobors?” for those who may not be familiar. The Doukhobors were one of the founding cultural groups of Saskatchewan, where some 7,500 first settled when they migrated to Canada from Russian in 1899 as refugees fleeing religious persecution. Inspired by their concept of the “Living Book” – that the spirit of the divine resides within each person – the Doukhobors adopted pacifism and resisted military conscription. Isolated and persecuted by the Russian authorities for their beliefs, they developed a unique form of spiritual worship based on their Christian origins but adapted to their communal lifestyle and world-view. The Doukhobors’ spiritual beliefs and practices were transmitted and maintained orally over the generations, and even once they had settled in Canada it has remained largely undocumented. This is a project of personal passion for me as one of the last direct descendants of Saskatchewan branch of Doukhobors (for a number of complex reasons – including issues around losing the original land granted to them when they immigrated to Canada – the community in Canada split around the 1907 time period). For a number of years I have felt the need to take action on preserving the essence of the traditions and history of the community, particularly with regards to our spirituality. While there have been a number of documentaries and historic texts created over the years that have captured Doukhobor history and culture, there has been little focus in these works on the spiritual practices of the Doukhobors in detail. A documentary film that combines footage of a prayer service, interviews with members of the Doukhobor community, and archival footage, to explain how a Saskatchewan Doukhobor prayer service works and how they have evolved over the years. An immersive exhibit suitable for a museum or gallery that will use the audio and video captured from the prayer service to allow viewers to experience being a part of the prayer service itself. Inspired by the Cardiff “sound sculpture” at the National Art Gallery in Ottawa (but also adding in a three-dimensional video element) the idea behind this exhibit is to allow people to walk within the space that a Doukhobor prayer service would occupy and experience the unique feeling of being part of the community singing to each other in spiritual communion. To bring this all to reality I’m partnering with Saskatoon film production company Bamboo Shoots and Gemini nominated composer and audio-engineer Ross Nykiforuk to do a professional recording of a traditional prayer service with the Saskatchewan Doukhobor community this October. Saskatoon-based media producer Brad Proudlove will also be supporting the production, as will Dr. Ashleigh Androsoff (Department of History, University of Saskatchewan) who is contributing to the historical and ethnographic research involved with this project. None of this would be possible without the support of the local Doukhobor community in Saskatchewan. I’m honoured to have the Doukhobor Cultural Society of Saskatchewan and the local Doukhobor organizations across Saskatchewan supporting the project and actively working towards the recording session of a prayer service this October. Last week I was in Saskatoon and I had an opportunity to attend a choir practice of the core group planning to be a part of the project; I have no doubt this is going to be a powerful experience for everyone involved! I’m really pleased that the project is gaining attention and momentum, and hope that we can continue to spread the word. Because of course, nothing in life is free. Though this is being run on a non-profit basis, to fund the technical costs for the first phase of the project we are anticipating that we need to raise approximately $15,000 over the next couple of months. I decided to take the route of running a crowdfunding campaign over the summer to put together the seed money we need to make this project a reality. From the bottom of my heart: thank you! I sincerely appreciate all of your support and encouragement on this project. It’s going to be a lot of work, but well worth it. I hope that I will do my Doukhobor ancestors proud on this one. Below is an editorial that I wrote for the April edition of “The Dove” – the quarterly publication of the Doukhobor Society of Saskatchewan. Posting here as I thought it may be of interest to a bit of a wider audience, and at the very end it teases a side-project linked to my Doukhobor heritage that I was able to get started while I was back in Saskatchewan at the start of the year. I’m excited (if perhaps a little daunted) at this new challenge given that it is outside my usual comfort zone of professional competencies, but it is something I have wanted to do for a number of years and – if I may borrow a quote from the editorial – if not now, when? The start of this year I found myself back home spending some time with family in Saskatchewan as I had the rare occasion of having a few months off before returning to my work with the federal government in Ottawa after finishing a one-year posting with the Organisation for Economic Co-operation and Development (OECD) in Paris. This time back home gave me the opportunity to re-connect with our Doukhobor community, and in February I had the great pleasure of being invited to present at the Doukhobor Cultural Society of Saskatchewan (DCSS) annual conference in Saskatoon. ▪If I am not for myself, who will be for me? ▪When I am for myself, what am I? ▪And if not now, when? To my mind, the paradox of the Doukhobors is this: as much as we have at times in our history as a community – through either choice or circumstance – been isolated from the wider world, both our fate and our identity is equally bound to our interactions with others. One example which I shared was the famous (perhaps some may say infamous?) 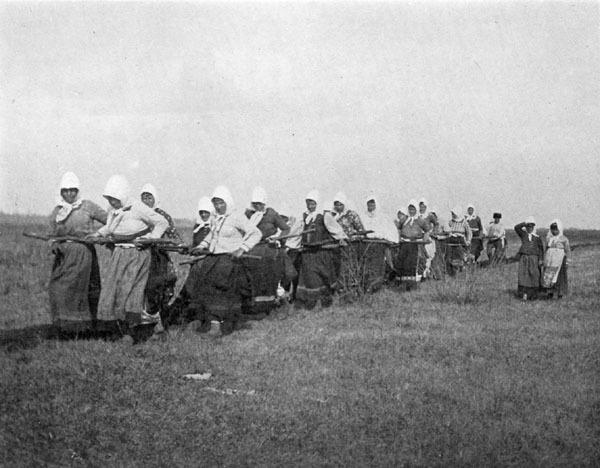 photograph of Doukhobor women pulling the plow to break the prairie soil when they first were settling what is now Saskatchewan. The reaction to this photo took many forms in the press and other writings of the day, with some denouncing what they saw as the barbaric treatment of Doukhobor women, while others championing them as feminist icons of their day. The truth of course was not nearly as black and white as any simple narrative would pretend, the reality being that they were just doing what they had to do to survive since most of the men were away earning wages to be able to buy the animals that would in years to come pull the plows. However the point remains: if we do not make the choice to own our narrative, others will shape it for us. Our Doukhobor community has done much in the past century to engage with the wider world, which has largely taken three forms. The first is sharing our culture through community events like Saskatoon Folkfest and the ever popular Doukhobor bread-baking booth at the Saskatoon Exhibition. The second is engaging through song, with the many Doukhobor choirs over the years which have performed not just locally but also nationally and internationally. The third is the involvement of Doukhobors in the international peace movement, going back to serving as conscientious objectors during the first two world wars, to being part of the nuclear disarmament movement during the Cold War, to more recently being active members of organizations such as the Saskatoon Peace Coalition. Most recently, as the world has gone digital so too have the Doukhobors. In my younger years I was proud to have put together one of the very first Doukhobor websites – the Doukhobor Homepage (now since defunct) – way back in 1996. Since then many new initiatives have emerged to capture and share the Doukhobor story through the internet, including for example Jonathan Kalmakoff’s Doukhobor Genealogy Website and the recently created Doukhobor music archive. So while we have come a long way from when we were part of an isolated community in the Russian steppe of the 19th century, the question of our identity and shaping our narrative into the future is more relevant now than ever. As we know, our community is shrinking in the traditional way that we think about it. Moreover, if we are being honest, much of our identity as we express it in the songs and hymns we recite are rooted in past struggles as opposed to creating vision for the future. 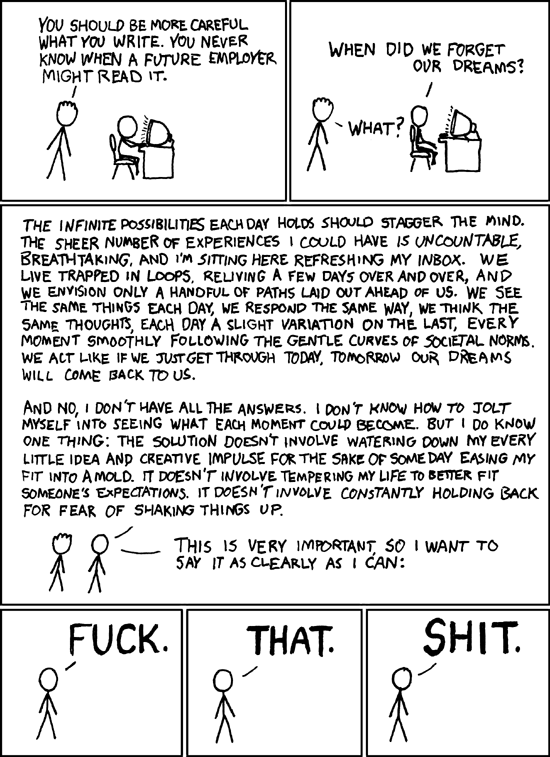 So where do we go from here? What is Doukhoborism in 2016? Where will Doukhoborism be in 2036? These are hard questions for which we can spend endless time thinking and debating, but the example of our ancestors should tell us that the best way forward is to have a bias towards action, grounded in our best spiritual wisdom and understanding. In that spirit I would propose two concrete ideas to consider as to how we might see the Doukhobor community evolve, and indeed thrive, in the years to come while preserving the best of our collective past. The first is that as Doukhoborism becomes part of the digital age, there is great opportunity to reconnect those whom have links to and interest in the Doukhobors both in philosophy and ancestry. We have seen just the tip of the iceberg in terms of what is possible in this regard through some of the examples I mentioned earlier, but the possibilities for connection that social media and live video/audio through the internet gives us means that our traditional spiritual practices can evolve in ways we couldn’t have imagined just a few years ago. The reality is many of our Prayer Homes in Saskatchewan have already closed their doors, and the ones that are still open are continuing to dwindle in numbers of active members. But why couldn’t we build a “virtual Prayer Home”? A space online to discuss, to pray, and to share community with those scattered across the globe who identify as Doukhobors. This is not only possible, but with the technology of today relatively easy and inexpensive to put in place. Other faith traditions have started experimenting in this way, for example a good friend recently shared with me her experiences interacting with the Abbey of the Arts which is a “virtual monastery” that connects people from around the world to deepen their spiritual reflections through shared activities. We can do the same. Secondly, for the past few years I have been interested in putting together a project to capture our spiritual practices as Saskatchewan Doukhobors. This is an area of our Doukhobor tradition that has not been well documented, and the window is closing to be able to do so while we still have sufficient numbers left to participate in a traditional Molenya. I was able to take advantage of my time back home in Saskatchewan earlier this year to put this project into motion, and I am working with the Doukhobor societies in Saskatchewan as well as some local and national film and audio experts to put together what will be an exciting opportunity to professionally record a Saskatchewan Doukhobor prayer service. The vision of this project is to create both a documentary film about Doukhobor prayer services as they are practiced in Saskatchewan, as well as an in-person multi-media installation/exhibit that will let others be able to experience what it is like to be part of a prayer service. We will be holding the recording of the prayer service on Saturday, October 22nd at the Blaine Lake Prayer Home and will be encouraging as many Doukhobors as possible from across Saskatchewan to participate. Details on the special prayer service recording session as well as how you can contribute to fundraising efforts to support the project will be shared in the next edition of The Dove, so please check back for more info then. Doukhoborism as we know it is going through a transition. With any change, while there is uncertainty, so too is there opportunity. Thus I end this article as I ended my message at the DCSS conference: with a call to action. Indeed, if not now, when?